‘…it’s more of a statement than a one-word message. Each song as a whole when you listen through this album represents something on its own. I think more than anything I would want people to take away that they have an opportunity to be made new, given to us through Christ Jesus. Also that you are loved incredibly by the Creator of the universe. Through seeking and finding Him, you’ll find the best version of yourself that you’ve ever had in your life. Ultimately, he is the satisfaction in life. No matter what you have thrown at you, whatever holes you have in your heart, or whatever voids you have in your life, he is the only thing that satisfies that…’ Jordan Feliz, newest signing to Centricity Music, has been a household name ever since his explosive, powerful, emotive and poignant radio hit “The River” that released in 2015, alongside his first extended play, Beloved. Comprised of 6 songs and 4 acoustically driven tracks and covers, Jordan’s introduction into CCM/acoustic music after spending more of his musical beginnings in the metal music scene as well as being in a band; is something more out of a book than real life…nevertheless, Jordan’s music continues to encourage and impact many, and it was the success of Beloved that made executives pull the album release date forward for The River. Originally going to be released later in 2016/early 2017, it was the unexpected listener response of Jordan’s first project that made the quick turnaround between albums possible. And while songs like “Dancing Through the Fire” and “Rejoice” sadly didn’t make the cut on The River, Jordan gives us fresh, unique and invigorating new tracks, songs like “Never Too Far Gone”, his current single “Best of Me” and reflective melody like “How Long”. Fans of artists like Unspoken and Chris August will love Jordan and his music, and I’m sure Jordan’s soul/funk/acoustic atmosphere that is littered throughout the album will be a great asset in the months ahead. 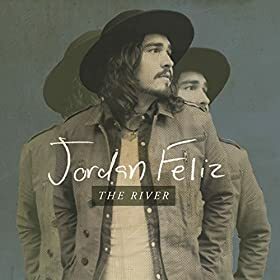 The River is as different as it is enjoyable, and is sure to be enjoyed if you are a fan of music that is drastically different (in a good way) than anything heard on CCM radio in recent memory (in fact, Jordan is the first out-of-the-box artist I’ve heard since for KING AND COUNTRY). Released as a single in July of last year, “The River” is quite possibly one of the catchiest melodies I’ve heard in recent memory, and quite possibly one of my favourite songs by any artist to release on radio since “Shoulders” by for KING AND COUNTRY. And not just because of the simple yet equally profound melody and theme- how we can go down to the river of life and be washed clean. And not just because the melody and its atmosphere harkens back to the 90s (in a good way). But rather of the energy and passion of Jordan, and if Chris August, Jimmy Needham, Unspoken and Newworldson (maybe even Shawn McDonald) all came together for a collaboration, this song would be the result. With a powerful drum beat, and Jordan’s soulful voice, “The River” is a standout on the album. Jordan himself reminds us that ‘…the song itself is an invitation to anyone who hears it—whether they’re stuck in pride and legalism or wallowing down in the mess they’ve made of their lives—it’s an invitation to take whatever we have and to run to Jesus…’, as we are met with other hits from his Beloved EP, “Beloved”, “Satisfied” and “Simple”. Jordan vocally channels both Chris August and Chad Mattson (of Unspoken) in “Beloved”, as we are presented the poignant theme of us being loved and loved unconditionally by the Father, that ‘…I wanted you to know, you are beloved, let it soak into your soul, forget the lies you heard, rise above the hurt, and listen to these words…’ Lyrically the richest song on The River, we hear from Jordan himself how much this song means for him, and how even though he wrote the song for his unborn daughter for the hope she can grow up and believe for herself that she is beloved, we can see this song also from God’s perspective, Him singing to us that we as a human race are beloved. “Satisfied” slows down the instrumentation a bit to bring forth the lyrics of us being satisfied alone in Christ, and though it is by far the most emotive and reflective on an album full of upbeat songs, Jordan presents the song with much grace and emotion. “Simple” lays down the theme of the album as a whole, and though only a tad over 3 minutes, it speaks to us volumes of what it means to truly be a Christian. It breaks down the gospel into simple bite-sized pieces, and reminds us just how simple the gospel really is- that while we were sinners, Christ died and rose again for us, so that we can make it back to our Father in a way that doesn’t require us repenting of our sins each and every day. “Never Too Far Gone” and “Best of Me” are two songs by Jordan that have released as promotional singles prior to the album’s release on April 22nd, and while both these songs are musically different, the message in each of these songs are nevertheless similar, in that we are never too far from God’s grace, and that when we are in Him, He brings out the best in us so that we can in turn encourage others that they are never too far from Christ as well. Sort of a one-step-two-step if you will, that once we understand and grasp the message delivered in “Never Too Far Gone”, we can in turn reflect and act upon the themes in “Best of Me”. With light acoustic instrumentation and looping vocal effects, “Never Too Far Gone” is an encouragement to many who may feel like they are in a ‘prodigal son’ situation. Knowing for a fact that we are never too far gone from God’s grace can be life-changing to many, should be life changing to all. And Jordan has done is best musically to draw people in so that they can listen to such a theme- “Never Too Far Gone” brings out the best in Jordan when it comes to acoustic pop. “Best of Me” brings forth more of a rock atmosphere as are more electric guitar and looping percussion presence is presented in the song. And what an encouragement it is to listen to “Best of Me”- once we believe into the fact that ‘…You are the fire in my life, that makes me stronger than I am on my own, You are the peace that I find, the hand that holds and always leads me home…’, we can worship with a true freedom, never second guessing about whether Christ intends to lead us home or not in difficult situations. “Cheer You On” brings about a melody with a happy-go-lucky feeling, a song sung from God’s point of view, as Jordan presents to us a song full of hand claps and a choir where the theme of God cheering us on in everything that we undertake is in a similar way to how an earthly father cheers on his son or daughter in sports games on the weekends or in their studies. God is championing for us, and encouraging us every step of the way, and this song is a testament to this. “Your Great Hands” has a steady drum beat and a vocal of Jordan’s similar to Chris August and Tauren Wells, as the song allows for the theme of surrendering into the hands of God our troubles, to be prominent, not just in this specific track, but enveloping the album as a whole; while “Live it Out” allows for experimentation, with a lot of drum beats and percussion noises, as the theme of living out our faith is discussed firmly in this 4:00 track. “How Long” also pinpoints the theme of asking the Lord how long before all the things described in the bible to be the signs of end times, begin to show up. We are all longing for the day when Christ comes back, and the song is just a testament to this fact- and while we may not know when Christ comes, we know He will, and thus, we ought to be ready. Releasing his album on the same day as Phil Wickham (Children of God), We are Messengers (self titled album), NF (Therapy Session) and V. Rose (Young Dangerous Heart); Jordan Feliz is certain to be in circulation, on radio and in people’s homes, in weeks, months and possibly years to come. With such an infectious, powerful and enthusiastic musical atmosphere, this is an album I’ve never been more excited for since Urban Rescue’s new EP in January 2016. While Jordan has made the transition from being in the rock/metal genre, to acoustic/pop/CCM; it is his lyrics of honest transparency and his passion to create music that’ll impact those around him, that will make The River a much loved album both now and into the future. Fans of Shawn, Chris, Jimmy, and bands newworldson and Unspoken are sure to love this album. From “The River” to the new single “Never Too Far Gone”, Jordan’s message is central and unwavering, that we are always and constantly loved by the King, and that is why and where our confidence comes from. Well done Jordan for such and inspiring album, can’t wait to full-length album #2 whenever it comes.